A Blogging Reader’s ARC-Review: REAP by Tillie Cole. ARC-Book Review! A Blogging Reader’s Review after reading ‘REAP’ (Scarred Souls Series – book #2) by Tillie Cole. **Content Warning**: Dark Contemporary Romance. Contains explicit sexual situations, excessive violence, disturbingly sensitive and taboo subjects, offensive language and mature topics. Recommended for age 18 years and up. I was so excited when I found out the wonderful news that RAZE, the beautiful standalone novel, would become the first novel of a new series by Author Tillie Cole. To top it off, I was given the opportunity to read and review the second novel titled REAP, of this new captivating series The Scarred Souls Novel Series. She is absolutely one of my top favorite authors and continues to please readers with the dark yet captivating stories. This second novel is written in the three main character’s P.O.V.’s(point of views) from Talia Tolstoi, Zaal Kostava, and Luka Tolstoi. His name is simply “221.” That is all he’s known as. He’s extremely tall, very muscular, with long dark black hair and green eyes, and a roughness to him that strikes fear in anyone that he’s told to destroy. He follows Master’s orders which usual consist of blood and death or end with him participating in some twisted sexual situation. In his mind, he has no past and his future seems bleak with nothing but violence and death to those who cross his path. Is this life all that “221” will ever know? Will he ever find out who he really is or who he once was? Talia Tolstaia is a “Tolstoi” and the daughter of a Russian Bratva “Mob” Boss father, which keeps her a part of the family’s brutal world tied to her job at The Dungeon, an underground death match business. Her lifestyle is that of power, violence, money, and loneliness for Talia. After watching her best friend Kisa find her long lost, one true love, she’s left feeling even lonelier and ready to find love of her own after so many failed relationships. She decides to go to her family’s summer home in the Hamptons to get away from the Bratva life and to finally relax a little. But being the daughter of a Bratva Boss and knowing the world she will always be tied too, her getaway will soon become something else. Luka, formerly solely known as “RAZE” from his death match fighting existance, has little by little become part of the life and family that he was taken from long ago. Mostly thanks to the woman who is the love of his life, Kisa, he’s been able to do that. But there is a part of his past he can not and will not let go of and that is revenge and justice. REAP was breath-taking, emotionally captivating, and continues to draw readers in with amazing characters that completely satisfy your imagination. The characters have strength, imperfections, and pull you into their lives from page one till the final chapter. Will RAZE be able to get the revenge he seeks? Is “221” ever going to get the chance to find out who he is or is he destined to stay a killing machine? And will Talia always be known only as the daughter to her Mob Boss father or will she finally rise up to define herself as more? I highly recommend this novel and this series for those who love a story that will grip your heart and mind in such a deadly and alluring way. REAP is definitely worth adding to your reading list today! 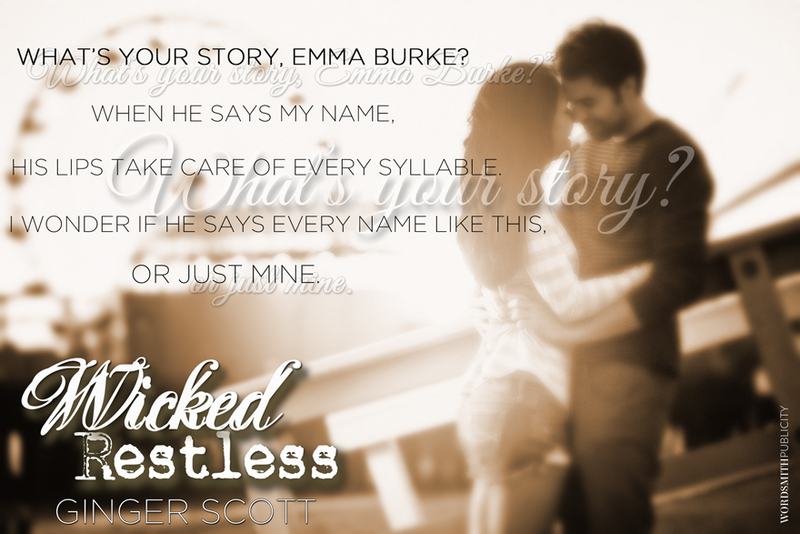 A Blogging Reader’s ARC-Review for: Wicked Restless by Ginger Scott. ARC-Book Review! One Blogging Reader’s Review after reading ‘Wicked Restless’ (Harper Boys Series #2) by Ginger Scott. This is my review for the second novel of the Harper Boys Series by Author Ginger Scott titled Wicked Restless. I was given the opportunity to read and review this New Adult, contemporary romance story about the younger brother of Owen(from book 1 “Wild Restless”)named Andrew and Emma, whom he meets one day. From that day forward, their lives are changed in so many ways as the years progress. Wicked Restless is written in the two main-character’s P.O.V.’s(point of views) from Andrew Harper and Emma Burke. Andrew Harper is a very smart teenager, with a good sense of humor, and the possibility of having a bright future. Unfortunately, he carries the burden of being a Harper and the baggage that comes from that name due to his late father and older brother James who lived a troubled life. His older brother Owen, lived up to that bad reputation in some ways, that was until he met the girl who changed his view on life. Andrew adores Owen’s girlfriend Kensington and is close friends with her. He looks forward to one day meeting someone for himself but being a Harper makes that hard to do in such a small town, where everyone knows everyone and gossip runs wild. He’s handsome enough with his tall height, dark hair and fun personality. So when he meets the new girl in town, he can’t help but be smitten by her and he can’t ignore their connection. His only worry is what she will think of him after she hears the stories about his family from the locals in town. Emma Burke is new to the small town of Woodstock from Delaware and doesn’t know anyone in town. She’s carrying her own secret and doesn’t want to share about it or to be treated differently because of it. When she meets Andrew, she quickly finds herself enjoying his company, as little as it is at first. When Emma and Andrew get to interact with each other more, they quickly begin to develop a genuine friendship. 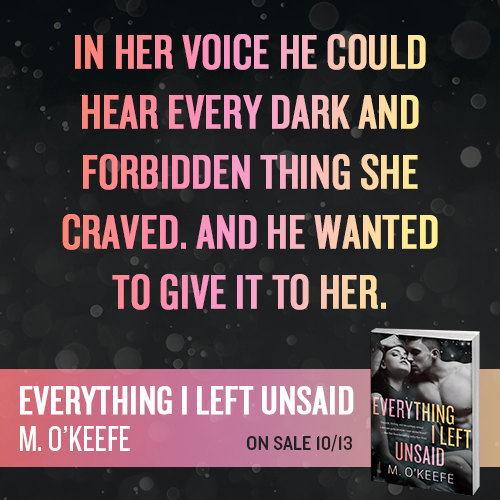 When they go out one night, things suddenly take a turn in the wrong direction and what unfolds begins a long road of uncertainty for their future in each others lives. Andrew finds himself sent for a year to a reform school but the reason he’s there is because of a lie but it was a lie he told to protect the girl that was beginning to steal his heart away, Emma. But as the days, weeks and months begin to pass with no word from her, while dealing with the dark and ugly lifestyle inside this reform school, he begins to lose hope. He’d hoped Emma would write him back or visit him but she simply disappeared from his life with no word, not even a simple “thank you.” This causes the caring and fun Andrew to become harder and bitter as the time passes. The sweet boy who opens doors and was respectful, was slowly fading away because of the terrible things he had to endure also because of the girl who seemed to have forgotten him so easily. Related Articles – The ‘Harper Boys Series’ by Ginger Scott.